Complete machining made easy: You cannot only use our MANDO and MAXXOS segmented mandrels on the lathe, you can also use them in stationary mode. Simply screw the mandrel onto the ms dock [manually actuated] or hs dock [hydraulically actuated] and you can clamp your workpiece from the inside, stationary mode. Precise, without vibration and with minimum set-up effort. The extremely wear-resistant segmented clamping bushing of case-hardened chromium-nickel-steel with the rubber between the segments, especially developed by HAINBUCH, makes it possible. 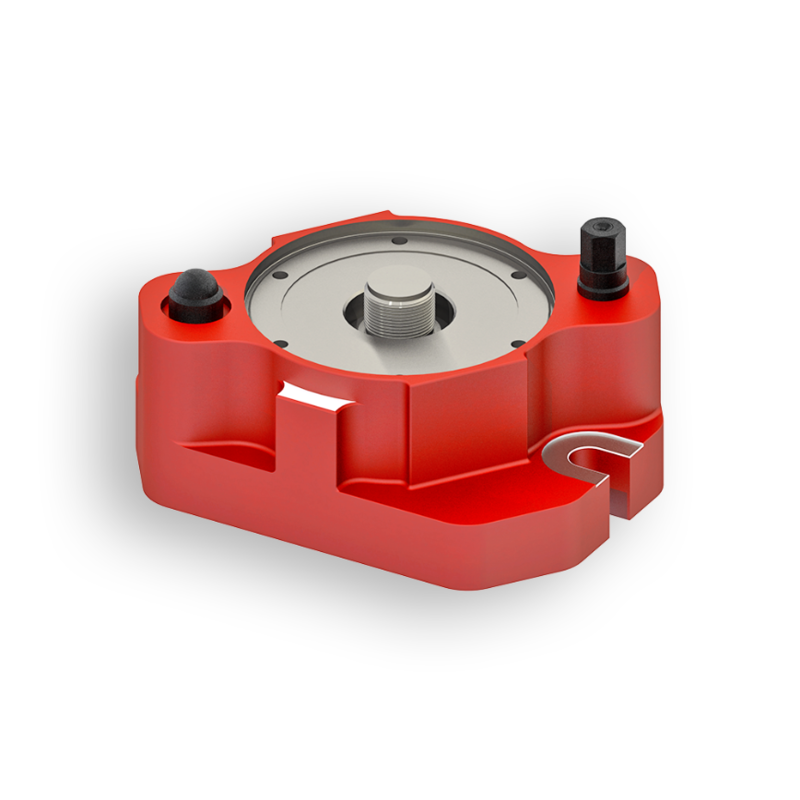 The hand-actuated ms dock in conjunction with stationary MANDO and MAXXOS segmented mandrels is ideal for machining centers, measuring machines, radial drill presses, parallel and angle plate clamping or for clamping on dividing heads. The version ms dock rotating can be used on turning and grinding machines until RPM 1/min. hs dock is an absolute powerhouse that enables hydraulic implementation of MANDO and MAXXOS segmented mandrels on machining centers. Media supply can be freely selected. It is actuated either from the side or via a base plate from below. Perfect when automation is involved.